In addition to the chains featured here, we offer MTO (Made To Order) options. Suitable for soft drink and brewery bottling plants (also for glass bottles). Mainly used for inline feeders and pressureless combiners. 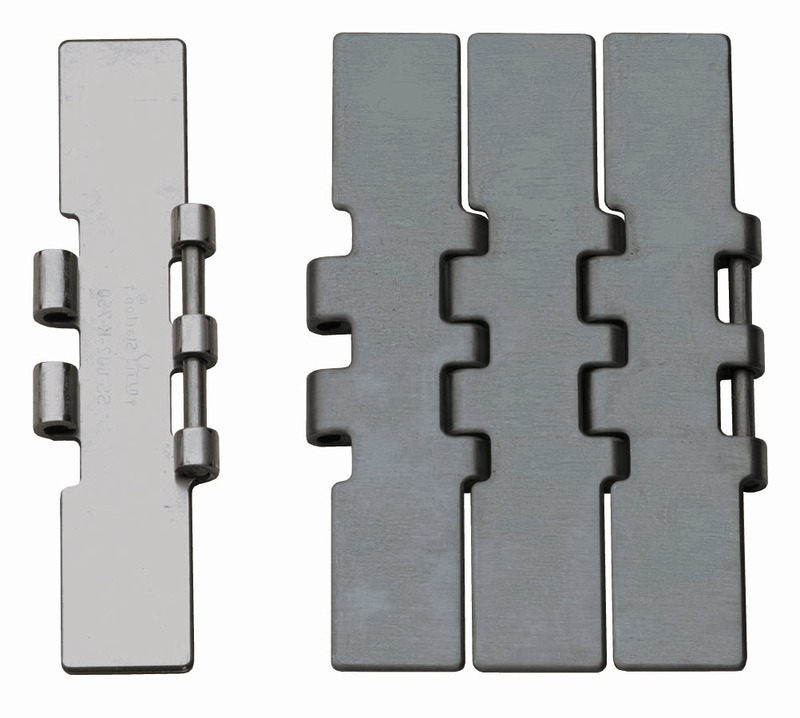 Relatively high tensile strength which can be utilized for long conveyors or for large and heavy items. 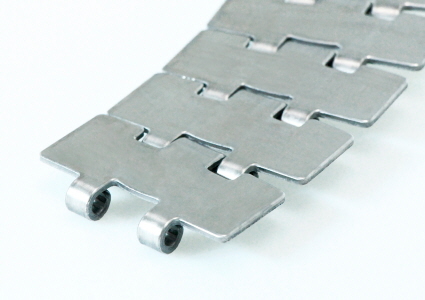 Equipped with welded tabs to retain the chain in the curved conveyor sections. 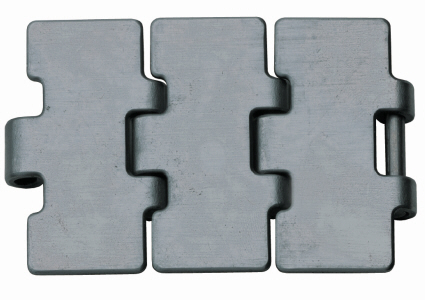 Can be supplied with a ground surface for widths up to 190.5 mm (7.50 in). 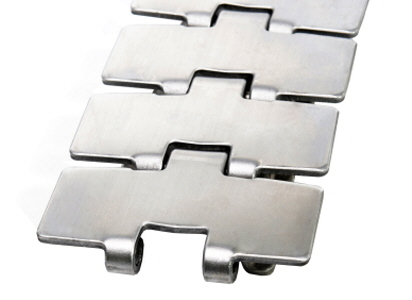 Equipped with bevels to retain the chain in the curved conveyor sections. uni-chains Plus+ Range increases line efficiency and production speeds, lowers maintenance requirements and extends wear life. The result: a significant reduction in cost of ownership. uni 815 Plus+ is made of ferritic stainless steel. Widths from 82.6 mm (3.25 in) to 190.5 mm (7.50 in). uni 805 Plus+ is made of ferritic stainless steel. Width of 190.5 mm (7.50 in). Mainly for conveying glass bottles in curves. 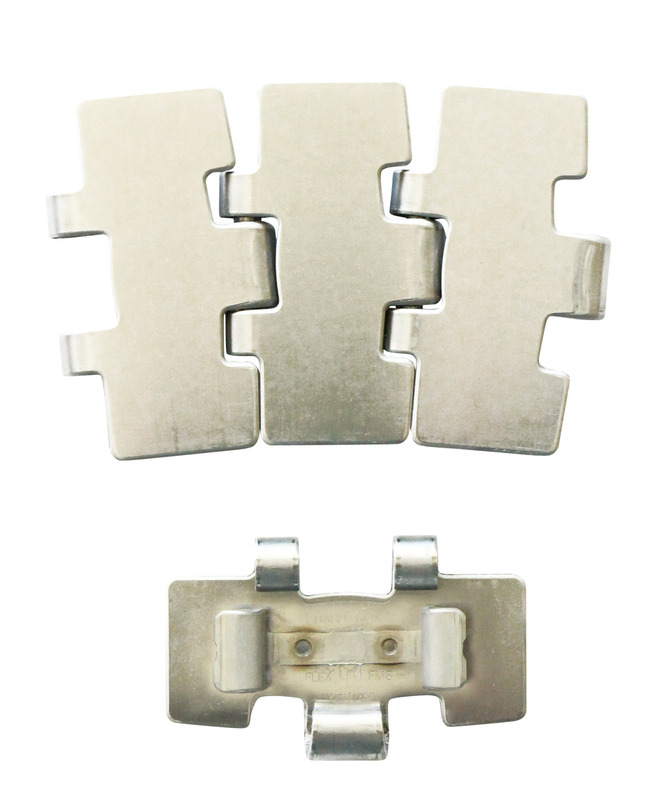 Retained in the curved conveyor sections by magnets built into the curves. 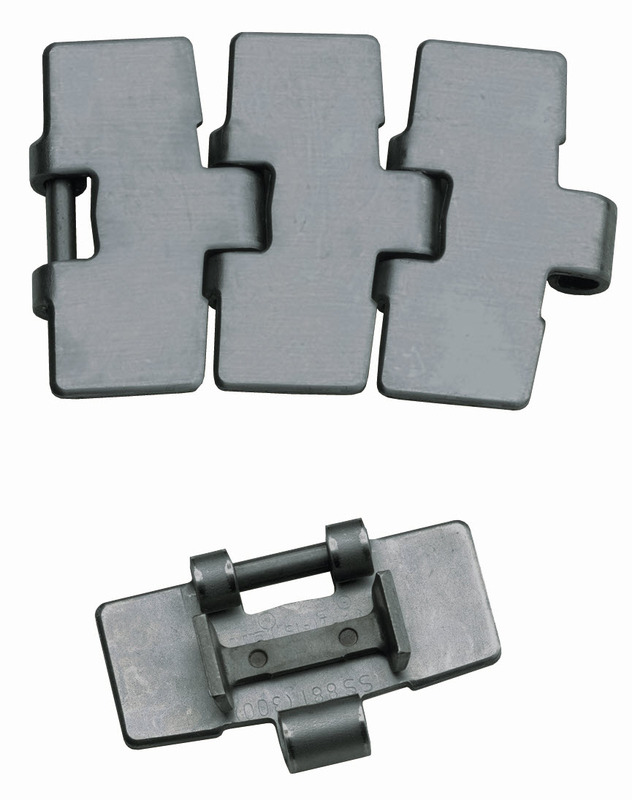 The advantage is that the chain can easily be taken off these sections for cleaning, replacement of wear strips etc. 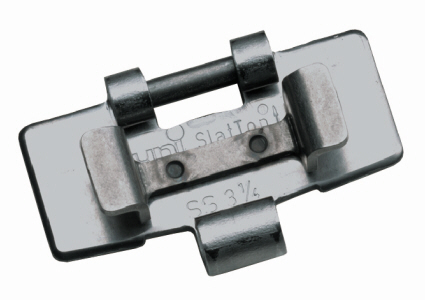 The hinge-eye design on uni 8811 Tab gives a more closed surface on the chain, leading to steadier conveying of products. Width of 82.6 mm (3.25 in).